Week Three brought us amazing upsets and frustrating injuries Here’s what you need to know from the Sunday games this week. Making his second career start, rookie QB Josh Allen led the Bills to a shocking road upset over the previously undefeated Vikings. Some are calling it the biggest upset in over 20 years. Allen finished with 196 passing yards and a touchdown, but also did damage with his legs, rushing for 39 yards and two more scores. The Packers welcomed RB Aaron Jones back to the field after serving a two-game suspension. Jones saw just six carries but that was all he needed to lead the team in rushing yards with 42. Once the Redskins got out to a big, early lead, Green Bay had to abandon the running game. New Orleans needed overtime to defeat division rival Atlanta and that only gave WR Michael Thomas and RB Alvin Kamara more time to pad their impressive stat line. Thomas caught 10 passes for 129 yards, while Kamara caught 15 passes for 124 yards. Each player is now on pace to break the single-season reception record of 143 held by former Colts WR Marvin Harrison. In Week Two, Falcons rookie WR Calvin Ridley scored his first career NFL touchdown. In Week Three, he put on a show. Ridley caught seven passes for 146 yards and three touchdowns, finishing as the top-scoring wideout for the week, with just one game left to play. 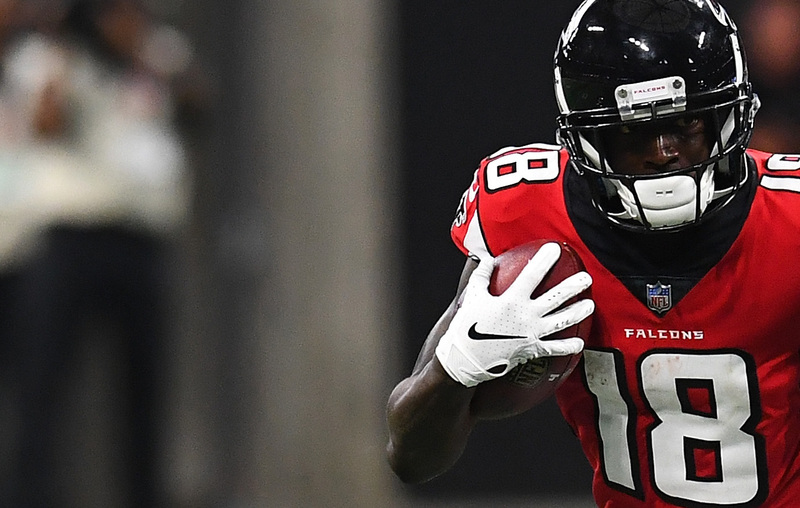 Ridley looks to be an excellent complement to superstar WR Julio Jones moving forward. Bengals WR AJ Green missed most of the second half Sunday with a groin injury, which allowed third-year WR Tyler Boyd to truly take over. Boyd finished with a team-high 132 yards and a touchdown on six receptions and has developed into a reliable weekly fantasy option. For the first time since Week Fourteen of last season, the Eagles had QB Carson Wentz in the lineup. Last year’s breakout star picked up where he left off, featuring TE Zach Ertz and getting his team a win. Wentz finished with 255 passing yards and a touchdown as the Eagles held on to beat the visiting Colts 20-16. By halftime of the Chiefs/49ers game Sunday, Kansas City QB Patrick Mahomes had already extended his record pace, throwing for three touchdowns and nearly 300 yards. He took things easy in the second half as the Chiefs held off the Niners, finishing with 314 yards and the three scores. He’s now on pace for 69 passing touchdowns on the year. Things are not looking good for San Francisco QB Jimmy Garoppolo, who suffered a late-game, non-contact leg injury. Following the game, head coach Kyle Shanahan said what most were already thinking, the team fears the injury is a torn ACL, which would end Garoppolo’s season. Second-year QB CJ Beathard entered the game for the final minutes and is expected to be the next in line if Garoppolo does miss extended time. After they were easily handled by the Jaguars a week ago, most expected the “angry” Patriots to wipe out the Lions, headed by former New England defensive coordinator Matt Patricia. Instead, Detroit took an early lead and the Patriots never really got anything going on offense. QB Tom Brady threw for 133 yards, his lowest total since a meaningless Week 16 game in 2014. TE Rob Gronkowski did lead the team in receiving but managed only 51 yards. The Patriots host the undefeated Dolphins next week. Cardinals rookie QB Josh Rosen made his long-awaited NFL debut when he was inserted into the game with less than five minutes remaining after the Bears had just taken the lead. It wasn’t the ideal spot for a rookie and Rosen ultimately threw an interception and then took a bad sack to end the game. Regardless, it is a good sign the team is ready to move on and try to turn their season around. 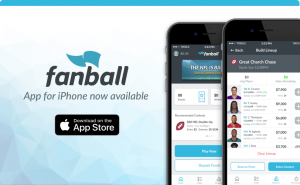 Ryan McDowell (@RyanMc23) is a freelance contributor for the SportsHub Games Network, Inc., Fanball’s parent company. 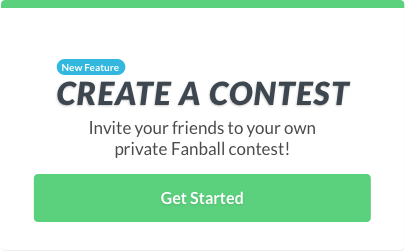 Any advice or strategies provided by SportsHub contributors represent their personal opinions; they do not necessarily reflect the view(s) of SportsHub Games Network and are not necessarily reflective of the strategies they may employ in their own lineups.